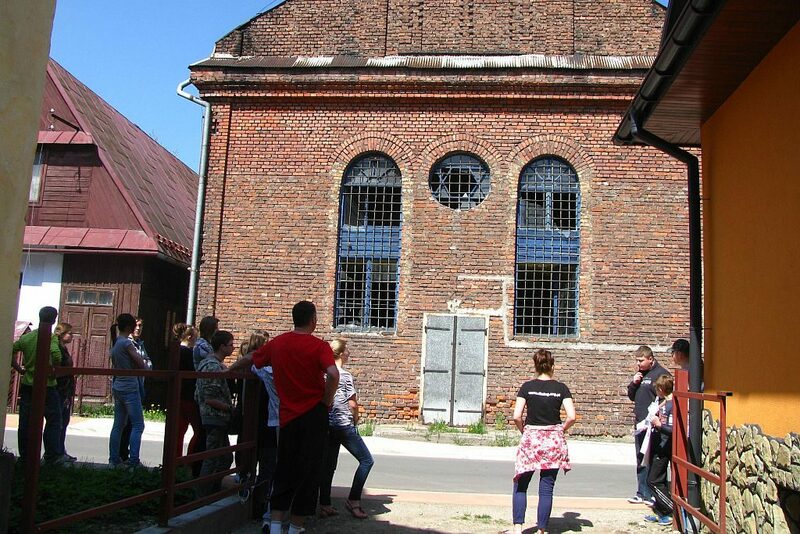 School of Dialogue is an educational program that aims to get students of secondary-level schools acquainted with the history of Jews in Poland as well with their contribution to the social, cultural and economic development of the country. Participants learn especially about the role that Jews played in their towns and about local history that often is completely unknown to them. The School of Dialogue program was launched in 2008. 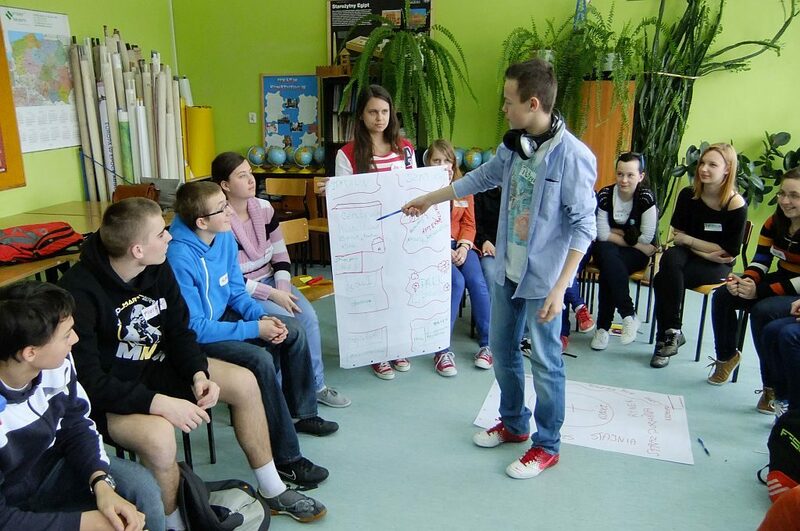 It was based on years of experience in educating young people through workshops on tolerance and difficult questions in Polish/Jewish dialogue as well as in organizing Polish/Jewish youth meetings. We had come to the conclusion that lack of knowledge abut our shared history and prejudices that had built up over the years present significant obstacles in Polish/Jewish dialogue. 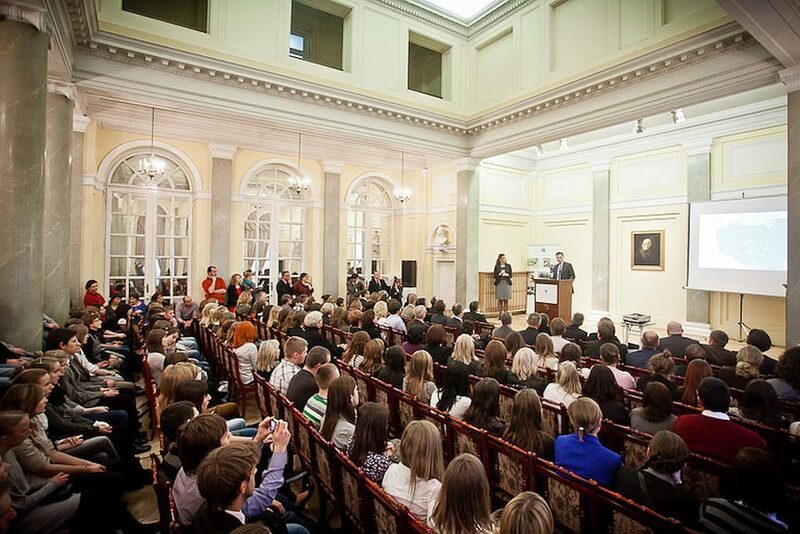 Today, School of Dialogue is held throughout the country and reaches around one thousand students annually. It is clear that we have succeeded in creating a unique educational initiative that combines exploring local history with confronting stereotypes, while also encouraging local activism. The program is addressed at students of secondary-level schools. Workshop participants learn about the history of their region, often uncovering forgotten facts related to the local Jewish community that co-created the social landscape of their towns. 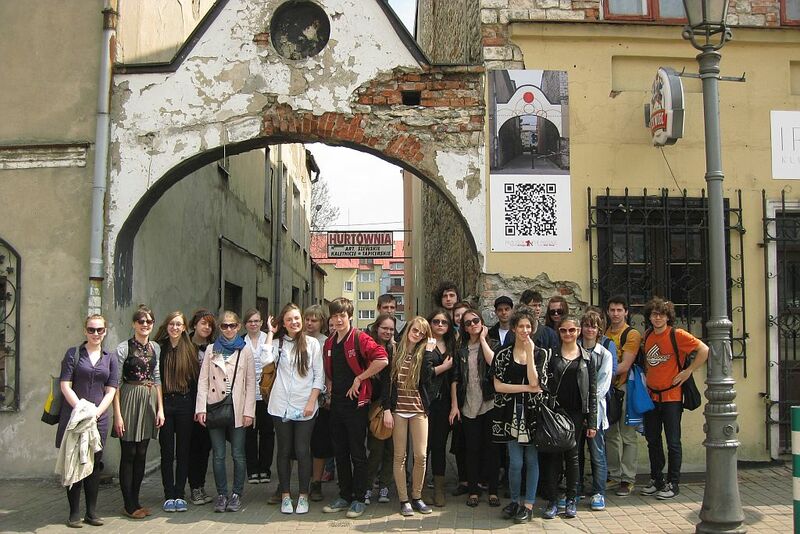 Young people search and reconstruct the local Jewish heritage on their own, commemorating their town’s Jewish past. 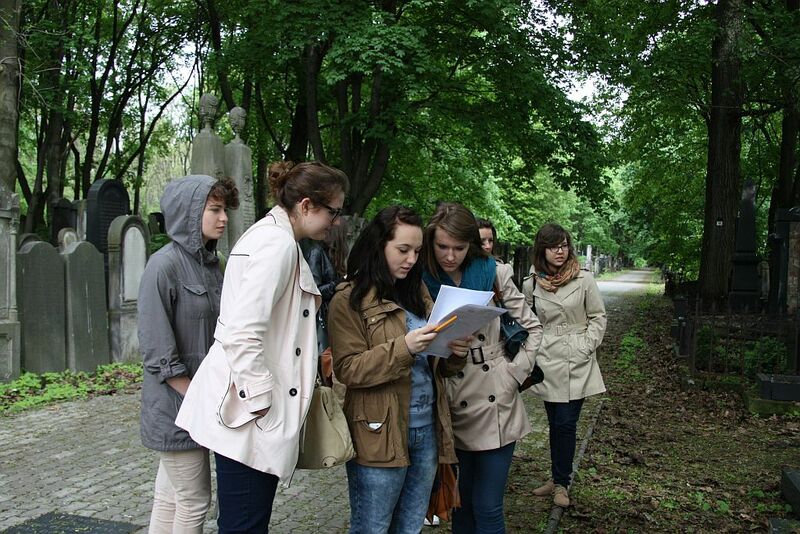 In the course of four workshops led by Forum’s trained educators, students embark on their personal journey toward discovering their town’s past. They conduct interviews with members of their own families, sift through archives, talk to local activists, all with the aim to reconstruct the Jewish community that once inhabited their town. It is them – the students – who become guides and present what they’ve learned through various activities to their parents, neighbors, friends and local authorities. They organize walking tours and events on Jewish culture, create films, websites and brochures dedicated to local history as well as self-guided walking tours and routes they publish online and in local tourist information centers and institutions. Students become teachers of their own teachers, parents and town officials. Thanks to their actions, Jews cease to be ”others” and again become neighbors who, despite having perished, are not forgotten. We educate about the Holocaust. When talking about prewar life, we also educate about the Holocaust and its local impact, with stories of particular individuals. Only when we are aware of not only the history of the local Jewish community, but also know particular faces, people and their life stories, the names of children who shared school benches with our grandparents, can we feel how vast is the void their absence creates. The moment when our students feel this heartache is often more important than knowledge of the Holocaust logistics. School of Dialogue participants become experts. 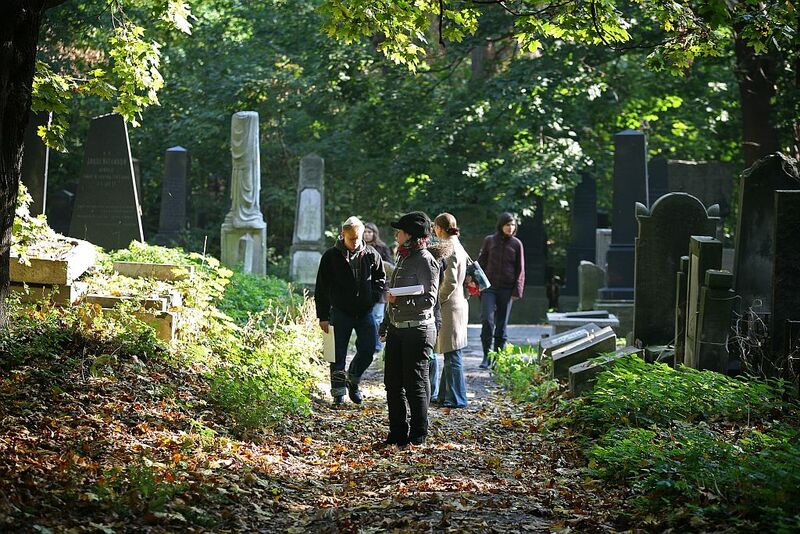 School of Dialogue participants become genuine experts on their towns’ Jewish past. They surprise us with the scale of their projects and initiatives, often employing interactive communication formats and becoming active in the public sphere. Their involvement, creativity and responsibility are marks of the program’s success. More than once students were able to make local authorities aware of issues connected to neglected sites or lack of commemoration. 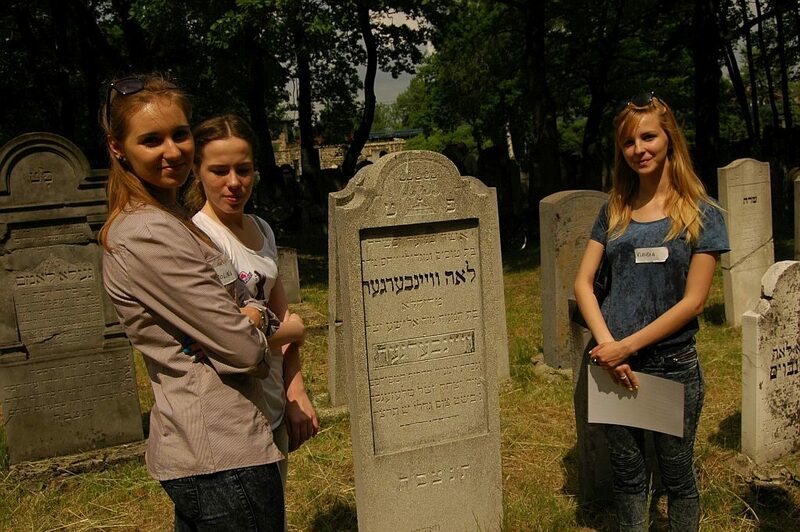 And so, in one of the towns, students worked with the authorities to delineate the area of a Jewish cemetery and, in another, students strived to commemorate the site of the synagogue on the municipal information board. International encounters. School of Dialogue prepares students to join the global community with pride of the heritage that was co-created by millions of Polish Jews. The program also teaches about the contemporary Jewish world and the challenges that life in a multicultural society presents. Thus, it offers skills necessary to face challenges of the modern world. This lesson can be shared with others – a film by one of the School of Dialogue workshop groups was screened at a youth film festival in Rio de Janeiro. Receptivity towards the world also involves contacting Jews from all around the planet who are connected to the towns we work in. Sometimes, these contacts are animated by Forum for Dialogue, when we bring descendants of local Jews to meetings with the local youth. Such meetings have taken place in dozens of Schools of Dialogue. With great frequency, participation in School of Dialogue leads to students becoming more involved in the life of their local community. Workng on their project truly instills civic values and the need to take responsibility for public life. Having learned about their rich local history, students declare a greater sense of attachment and pride for where they live. Would be willing to meet their Jewish counterparts as a result of participation in the workshops in 2015. Since 2012 the School of Dialogue program has underwent annual evaluations run by the Center for Research on Prejudice of the University of Warsaw. The responses collected from participating students confirm the effectiveness of the workshops in teaching about Jewish history and culture in Poland, improving positive attitudes towards Jews, as well as inspiring students’ interest in local history and readiness to be civically engaged.